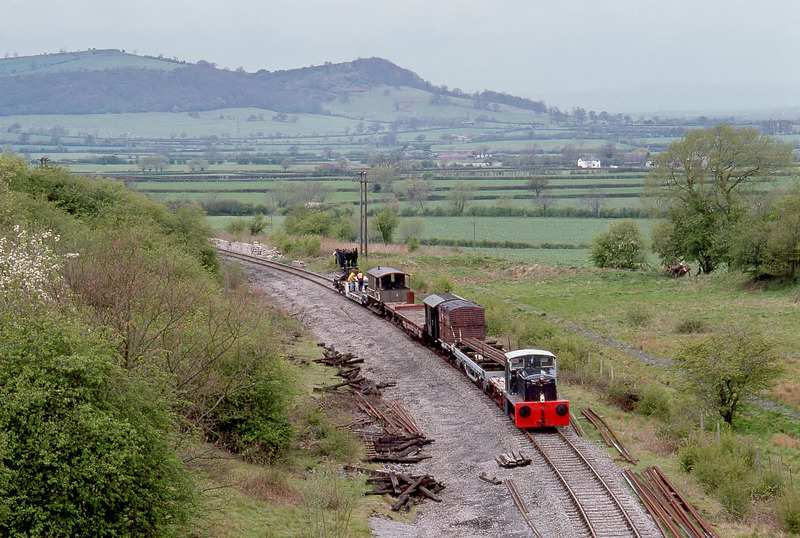 Fowler 0-4-0 4210130 is pictured here on engineering duties at Gretton on the Gloucestershire Warwickshire Railway on 14 April 1990. Gretton had just become the temporary terminus of the line, although no passengers facilities were provided. The 1957 built 4210130 was later repainted into green livery.